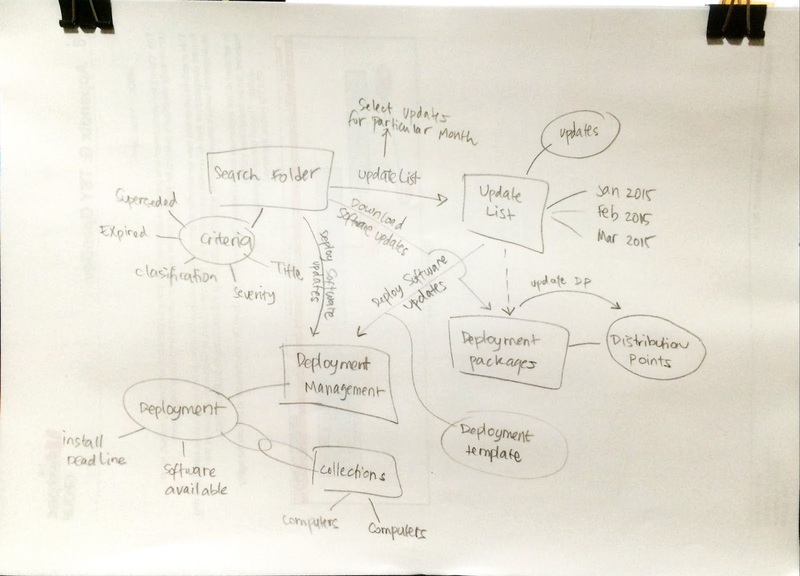 My SCCM 2007 R2 Software Update relationship diagram. This is the list of updates that are selected from search folder. I use this update list per month basis, e.g. Jan 2015, Feb 2015. This way, a compliance report can be run agains a specific update list. 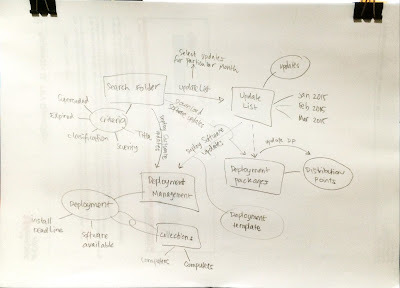 This is the deployment package that gets deploy to the Distribution Point. I use the same deployment package for a specific product, for example I have "Windows Server 2012 R2" deployment package for all updates of Windows Server 2012 R2, respectively of their month. This is the deployment task that is created for a specific collection. What to do every month to patch machines? Right click and select Update List, create a new Update list for this month.